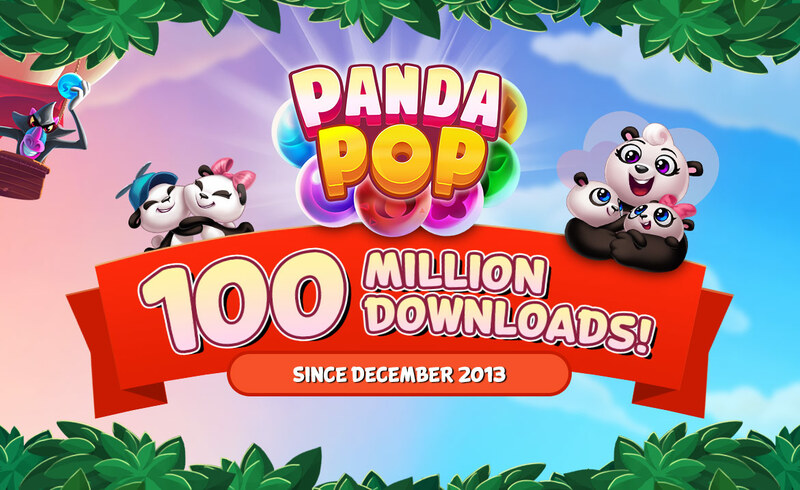 The flagship game from Los Angeles-based mobile game developer Jam City, Panda Pop, has reached over 9.3 million monthly active users and climbed above its 100 millionth download. The tentpole game for MySpace founder Chris DeWolfe’s latest LA-based juggernaut of a company has certainly had its moment. Now, after swallowing TinyCo last year, DeWolfe is likely hoping that the undiminished popularity of Panda Pop can continue to be the base on which Jam City builds its future. Given that the TinyCo acquisition is less than a year old, it’s not surprising that the titles Jam City has launched and acquired have yet to hit their stride. According to the latest ratings from App Annie, Jam City has two games in the top 100 top revenue grossing games, Cookie Jam (coming in at No. 30) and Panda Pop (at No. 43). Genies & Gems and Juice Jam and Family Guy The Quest for Stuff round out the company’s top five titles and show just how far the new TinyPop titles have to go to really hit their stride. That said, there’s no denying the quality of a sustained winner, and the company’s core match 3 and reliance on puzzle games hasn’t let it down. Indeed, DeWolfe’s approach is also taking the existing titles in the company’s roster into international markets. “We do some pretty deep localization in Japan,” DeWolfe told me in an interview a few months ago. Europe and Japan have been the key geographies outside of the U.S. for DeWolfe and Jam City as it looks to grow its gaming empire. All of this is being done with an eye toward an initial public offering sometime in the next 18 months, DeWolfe has said. The company is heading toward roughly $400 million in revenue for this year and has targeted the middle of 2019 at the latest for its public offering. Over the past seven years, Jam City (which was formerly known as SGN), has grown through a series of acquisitions, mirroring the boom and bust cycles of the rest of the industry. Initially emboldened by the possibility of King’s public offering in 2015, the company had set a target of 2017 for a public offering, but kicked that can down the road when King fizzled in its public debut. Still, the TinyCo acquisition and its partnerships with Marvel Studios and Fox hold the opportunity for future content. Indeed, as it heads into its public offering, Jam City intends to launch six games in the next year alone. Coupling that with the 100 percent annual year on year revenue growth that the company reports, and there’s a recipe for one of the next big Los Angeles startup wins just over the horizon. Forbes photo shoot at Jam City, Culver City, CA, 5/17/17.